Welcome to Camella Belize at The Islands! Enjoy living in a nature-filled community with perfectly designed model houses situated in the heart of the south, Dasmariñas. Say goodbye to the hassles of living in Manila as you come home to your wonderful abode that is merely minutes away from Alabang’s booming business and commercial districts, the upscale communities in Vista Alabang, and even the most popular tourist spots in Tagaytay City. 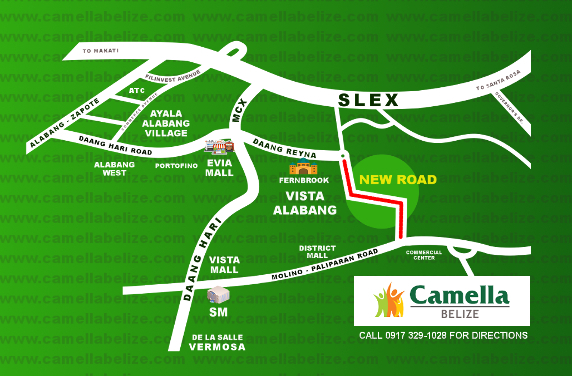 Camella Belize is one of the ideal spots to buy a home from in the south because all sorts of essential establishments such as Malls, schools, hospitals, and churches surround it. The village itself is also in close proximity to major highways (Aguinaldo Highway) and major expressways (MCX and SLEX). Plenty of malls and retail stores such as SM Dasmarinas, Robinsons Dasmarinas, and Walter Mart surround the Islands at Dasmariñas. It is at these places where you can enjoy watching movies, dining out with your family, grocery shopping, and pampering yourself and your loved ones. Aside from being a couple of minutes away from these large malls, the village is also in close proximity to Tagaytay City. There you can enjoy a relaxing day while breathing fresh air as you take in the scenic views around Tagaytay, especially ones that feature the famous Taal volcano. Another great thing about The Islands at Dasmariñas is that it is nearby prestigious schools. If you have any children, you can rest easy knowing that schools like De La Salle University Dasmarinas, De La Salle High School, National College of Science and Technology, Piela Elementary School, St. Peter Channel School of Cavite, Paliparan Elementary School, Oxford Philippines International High School are very close by. Camella Belize at The Islands Dasmariñas is situated in a completely flood-free environment that also happens to be surrounded by luscious greens. Just perfect for anyone who is looking for a safe and serene environment to live in! Aside from being safe from harsh natural disasters, Camella Belize is also made secure from other sources of danger by the 24-hour roving security within the village, perimeter fencing, and 24-hr CCTVs at the village gate. 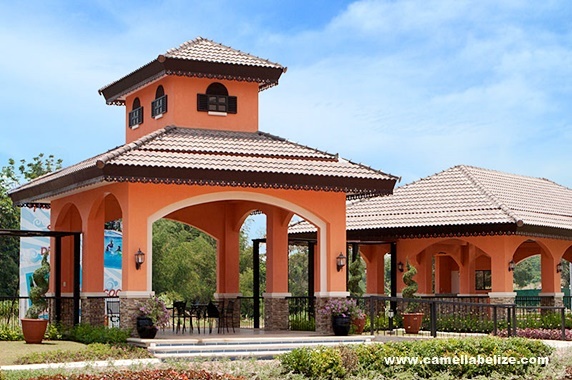 Other amenities of Camella Belize at The Islands include a Club house, jogging paths, playgrounds, a swimming pool, a basketball court, and an All Day convenience store at the village entrance. Start living in a house in Camella Belize at The Islands and enjoy the numerous establishments and recreational activity areas around the village. Take a short drive to one of the most known tourist spots in the Philippines and visit the Taal volcano viewing sites in Tagaytay. Go out with the family and bond over food, movies, and more at nearby malls. Whatever activity you seek, you will surely find just minutes away from Camella Belize at The Islands!